Reports of Google working on an Android Wear app for iOS appeared earlier in March. More than a month after the first report, The Verge is back, citing sources close to the development team corroborating those rumours and opening up questions: Google is busy getting the most out of the iOS app that would bring the Android Wear platform to Apple’s iPhone. 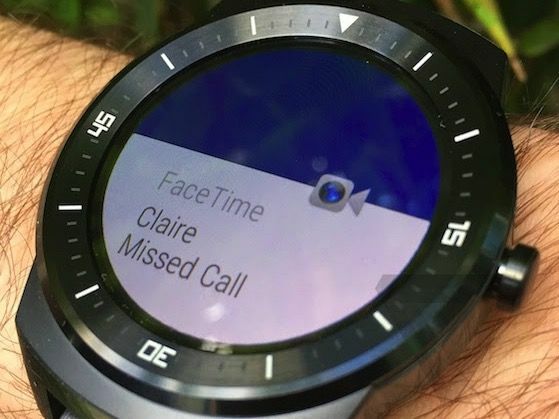 In its current state of development, Android Wear works along with a companion app on the iPhone and supports basic functions like notifications — as you can see in the photo below. As it does on Android, on the iPhone Android Wear also supports Google Now’s ambient information cards, voice search, and other voice actions. 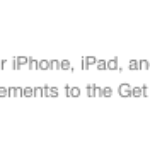 It should also support some more advanced features with Google’s own iOS apps, like replying to Gmail messages. Of course, the first question of all is whether Apple will even allow Android Wear on its platform. By doing so, the Apple Watch would face some tough competition from its Android counterparts. The fact is, Apple did allow Pebble to enable useful features such as music control, but they are fairly limited compared to what Android Wear and the Apple Watch offer out of the box. Apple has been preparing the launch of the Apple Watch in its retail stores: it is no longer selling the Nike Fuelband or the Jawbone UP. If we add that Apple has removed Google’s preloaded apps like Maps and YouTube from iOS, it seems unlikely that the company would accept an iOS app that brings Android Wear to the iPhone. But in case it does — and why not? Competition would be great for customers — it may want to rework its app submission rules that prohibit apps from mentioning the names of other platforms. The release date of Google’s Android Wear app for iOS is yet unknown, but the announcement (if there is one) is likely to arrive during the I/O developer conference in May.